2015 Mercedes-Benz M-Class ML 350 4MATIC® Rich interior appointments with a thoughtfully engineered engine! A driver's dream! Certified. CARFAX One-Owner. Clean CARFAX. Awards: * 2015 IIHS Top Safety Pick+ Mercedes-Benz Certified Pre-Owned Details: * Warranty Deductible: $0 * 165 Point Inspection * Limited Warranty: 12 Month/Unlimited Mile beginning after new car warranty expires or from certified purchase date * Transferable Warranty * Vehicle History * Roadside Assistance * Includes Trip Interruption Reimbursement and 7 days/500 miles Exchange Privilege Reviews: * Whether you're looking for a 5-passenger luxury SUV that can sip the least fuel possible, a luxury SUV that can rip to 174 mph, or a luxury SUV that splits that difference one way or the other, the 2015 Mercedes-Benz M-Class is a good bet. Source: KBB.com * Very fuel-efficient diesel; very quick gasoline engines; serene ride; rich interior appointments; roomy backseat; top crash scores. Source: Edmunds * Every element of the 2015 M-Class cabin is thoughtfully engineered and elegantly crafted to make you feel at home, and in control, on any road. The standard 19-inch alloy wheels further accent the already stark design of the M-Class. Bright white LED Daytime Running Lamps help increase the visibility of your vehicle to oncoming traffic by illuminating front lights whenever the car is switched on. On the inside, wood trim adorns the console, dash, steering wheel and doors. MB-Tex upholstery offers a rich appearance and supple leather-like feel, even in cold weather. Electrically heated front seats quickly take the chill out of even the coldest day. 60/40 split-folding rear seat backs with flip-forward seat cushions allow for a truly flat cargo floor. The Cockpit Management and Data (COMAND®) system features a high-resolution color-LCD display. This is utilized to manage audio, video, and other hands free calling and navigation functions. The M-Class features a 302hp 3.5L V6 with up to 6,600lbs of towing power or a 329hp or 3.0L biturbo V6 with 7,200lbs. The 7-speed automatic has been made even smoother, more responsive and more efficient while paddle shifters allow you to manually upshift and downshift with just a flick of your fingers. Powerful 4-wheel disc brakes grant you the all of the stopping power that you need. Mercedes-Benz is concerned with keeping the family safe, and the quality of the safety options present on the M-Class is proof of that. A suite of standard air bags offers advanced protection. A driver's knee air bag supplements the dual-stage front air bags. Enjoy the strong, controlled stopping power of dual-circuit power-assisted 4-wheel disc brakes, backed by an Antilock Braking System. Source: The Manufacturer Summary2015 Mercedes-Benz M-Class ML 350 4MATIC® Rich interior appointments with a thoughtfully engineered engine! A driver's dream! 2016 Mercedes-Benz GLE 350 4MATIC® Luxurious MB-Tex Leatherette Seat Trim and Spoiler give this SUV the ultimate Mercedes-Benz touch! CARFAX One-Owner. Clean CARFAX. Reviews: * Broad range of engine choices; quiet, upscale and well-built interior with a roomy backseat; long list of standard safety and technology features. Source: Edmunds2016 Mercedes-Benz GLE 350 4MATIC® Luxurious MB-Tex Leatherette Seat Trim and Spoiler give this SUV the ultimate Mercedes-Benz touch! 2015 Mercedes-Benz CLA 45 AMG® 4MATIC®® Fiery performance with premium interior materials! Premium Audio System and Brake Assist are only the beginning of the features on this sedan! 23/31 City/Highway MPG CARFAX One-Owner. Clean CARFAX. Reviews: * Luxury-car status for a relatively low price; commendable power and handling; premium interior materials; fiery performance from AMG® model. Source: Edmunds * The Concept Style Coupe set the auto show circuit abuzz with its dramatic 4-door coupe design and athletic presence. Showgoers only had one request: Build it. The CLA has brought an international sensation to fruition with nothing lost in translation, from its diamond-block grille to its frameless door glass to its sweeping taillamps. Its coefficient of drag is among the lowest not just in its class but the entire industry, cutting fuel consumption and wind noise. Beyond its incredibly low drag, export airflow management enhances roadholding, stability and even poor-weather visibility. The price leadership of the CLA takes nothing away from every other aspect of leadership that comes with the Three-Pointed Star. From the winglike dash and tablet-style color screen, to its high-back power front sport seats with memory, to its available Panorama glass roof and multimedia systems, it's a cabin that puts you ahead of the crowd. Under the hood of the CLA is a new era of performance. With two options, a 208hp 2.0L turbo engine or 355hp 2.0L exclusively in the CLA 45 with a 0-60 of 4.4 secs. A tablet style central screen teams with the elegant central controller to put a world of entertainment and navigation options within easy reach and clear view. Audio and entertainment features start with standard Bluetooth® hands free calling and audio streaming, plus a USB port and HD Radio. Options range from a Media Interface for your iPod to SiriusXM Radio to harman/kardon® surround sound, as well as a clever accessory to integrate entertainment, navigation and social media apps on your iPhone. Navigation options include the 80GB hard-drive-based COMAND® system or an integrated plug in accessory. Both feature advanced voice control. Source: The Manufacturer Summary * Swift and smooth acceleration; whisper-quiet interior; easy-to-use regenerative braking; attentiveness monitoring system that warns drivers when they exhibit signs of drowsiness behind the wheel; a nice palette of options. Source: Edmunds2015 Mercedes-Benz CLA 45 AMG® 4MATIC®® Fiery performance with premium interior materials! Premium Audio System and Brake Assist are only the beginning of the features on this sedan! 2018 Mercedes-Benz C-Class C 300 4MATIC® Ultra Low Mileage! Elegant design inside and out gives it a true luxury appearance. Equipped with remote keyless entry, brake assist, and more! Certified. 23/32 City/Highway MPG CARFAX One-Owner. Clean CARFAX. 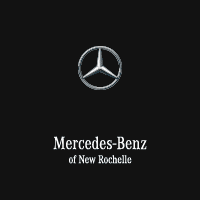 Mercedes-Benz Certified Pre-Owned Details: * Transferable Warranty * Vehicle History * 165 Point Inspection * Warranty Deductible: $0 * Includes Trip Interruption Reimbursement and 7 days/500 miles Exchange Privilege * Limited Warranty: 12 Month/Unlimited Mile beginning after new car warranty expires or from certified purchase date * Roadside Assistance2018 Mercedes-Benz C-Class C 300 4MATIC® Ultra Low Mileage! Elegant design inside and out gives it a true luxury appearance. Equipped with remote keyless entry, brake assist, and more! Certified. 23/32 City/Highway MPG CARFAX One-Owner. 2016 Mercedes-Benz GLE 350 4MATIC® Sporty feel with a spoiler and roof rack rails for all of your adventurous needs! Plenty of room for adult-sized passengers in back with a long list of advanced convenience and safety features! CARFAX One-Owner. Reviews: * Broad range of engine choices; quiet, upscale and well-built interior with a roomy backseat; long list of standard safety and technology features. Source: Edmunds2016 Mercedes-Benz GLE 350 4MATIC® Sporty feel with a spoiler and roof rack rails for all of your adventurous needs! Plenty of room for adult-sized passengers in back with a long list of advanced convenience and safety features! 2016 Mercedes-Benz GLE 350 4MATIC® Every element of this SUV is thoughtfully engineered and elegantly crafted to make you feel at home, and in control, on any road! Certified. Odometer is 20157 miles below market average! CARFAX One-Owner. Clean CARFAX. Mercedes-Benz Certified Pre-Owned Details: * Warranty Deductible: $0 * Limited Warranty: 12 Month/Unlimited Mile beginning after new car warranty expires or from certified purchase date * Transferable Warranty * Roadside Assistance * 165 Point Inspection * Includes Trip Interruption Reimbursement and 7 days/500 miles Exchange Privilege * Vehicle History Reviews: * Broad range of engine choices; quiet, upscale and well-built interior with a roomy backseat; long list of standard safety and technology features. Source: Edmunds2016 Mercedes-Benz GLE 350 4MATIC® Every element of this SUV is thoughtfully engineered and elegantly crafted to make you feel at home, and in control, on any road! Certified. Odometer is 20157 miles below market average! CARFAX One-Owner. 2016 Mercedes-Benz E-Class E 350 4MATIC® Luxurious Burl Walnut Wood Trim and roomy backseat! Certified. 20/27 City/Highway MPG CARFAX One-Owner. Clean CARFAX. Mercedes-Benz Certified Pre-Owned Details: * 165 Point Inspection * Roadside Assistance * Includes Trip Interruption Reimbursement and 7 days/500 miles Exchange Privilege * Warranty Deductible: $0 * Transferable Warranty * Limited Warranty: 12 Month/Unlimited Mile beginning after new car warranty expires or from certified purchase date * Vehicle History Reviews: * Broad range of engine choices; quiet, upscale and well-built interior with a roomy backseat; long list of standard safety and technology features. Source: Edmunds2016 Mercedes-Benz E-Class E 350 4MATIC® Luxurious Burl Walnut Wood Trim and roomy backseat! Certified. 20/27 City/Highway MPG CARFAX One-Owner. Certified. Odometer is 9438 miles below market average! 21/29 City/Highway MPG CARFAX One-Owner.